This project entailed revising the previous look of their website and consultation on the overall UI/UX. 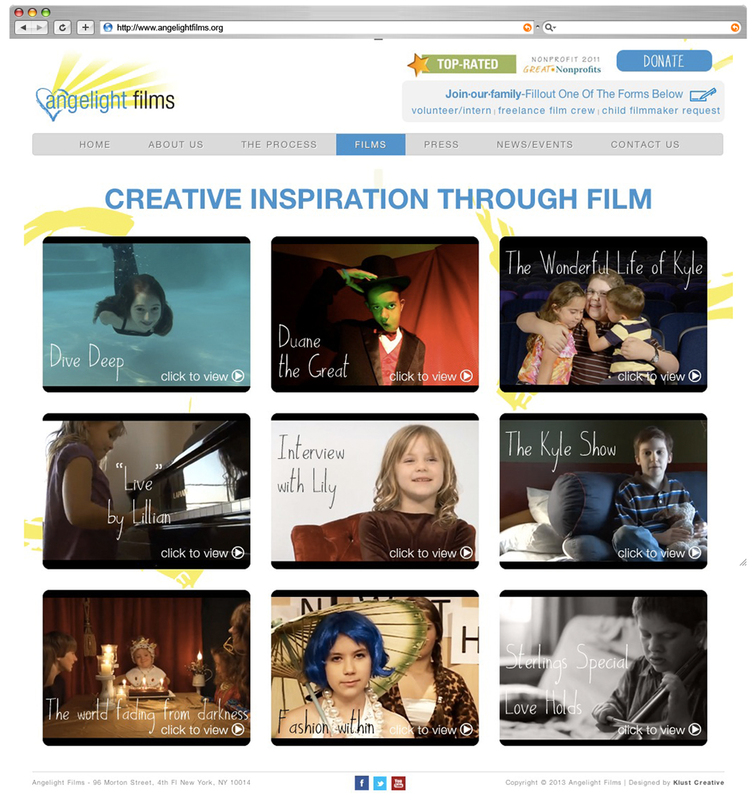 Angelight Films is a 501(c)(3) nonprofit production company that offers children with brain and spinal cord tumors the opportunity to shine by creating and starring in their own short film. 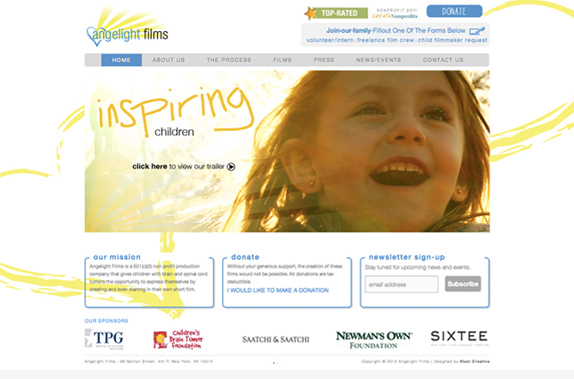 The organization was formed in 2009 in honor of founder Stephanie Angel’s younger sister, Ilana, who died of a brain tumor at the tender age of five.